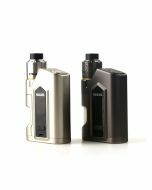 Here comes the first top fill squonk mod--Dovpo Topside Squonk Mod. 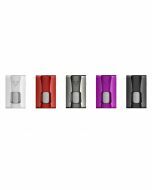 Dovpo Topside Squonk Mod is a collaboration between the Vapor Chronicles and Dovpo. The Vapor Chronicles (TVC ) is an influential ecig review channel on the Youtube. Being an experienced vaper, Brian (the TVC reviewer), he knows what kind of design is needed by vapers. Here I call the squonk mods in the market before Topside “early-time squonk mods”. Those early-time squonk mods all feature a bottom fill system. To fill the squonk bottle, you will need to disassemble it from the device, then fill in e-liquid, and finally assemble it back. Though the large capacity of the squonk bottle brings much much convenience for vaping with a RDA, there is still further improvement needed. So the idea came to Brian and later he designed this Dovpo Topside Squonk mod. As shown in the picture, you just need to screw off the lid to fill the squonk bottle. 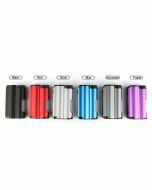 All the parts that have contact with the e-liquid are made from food-grade stainless steel and silicone. 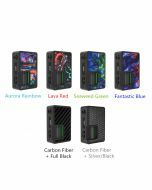 It is powered by a single 18650 battery and can power up to 90w.Besides, it has multiple working modes for option including VW,Bypass and TC. 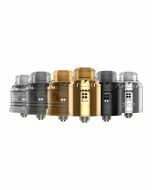 This Dovpo Topside Squonk Mod is now for preorder at Urvapin and will be in stock in the latter of this October. If you prefer to use RDA, this top-fill squonk mod is a perfect match!